View past winners of the Student Design Contest. 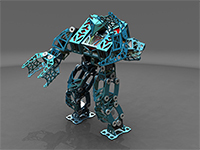 All designs were created using Siemens PLM Software solutions. Prizes and certificates will be awarded monthly for the best student design based on a combination of votes and by our panel of judges. Review the judging criteria on the right. You know your designs are great, show the world. Entry is easy. 1. Provide a unique title. Have fun and be creative. 2. Provide a description of your image. You may include how you designed the object. 3. Don't forget to tell us about your academic institution! University or 4 year college, technical college, high school are a few good selections. 4. Using the "insert photo" option, embed your image in the body of the post. 5. Attached the image that meets the criteria to the right. 6. On the right, please select the software that was most used to create this image under "Labels". Select SUBMIT and you're finished! You may share your entry with your family and friends. Just remember, in order to vote, you must be a registered member of the Siemens PLM Community. If there is a logo, the logo should be an intrinsic part of the image, for example, appearing exactly as it does on the physical product. If the image is not an actual product and a logo is used, the logo should appear to be an intrinsic part of the visual. Entries containing logos may be pulled at the discretion of judges. If the entry is the result of a collaborative project with a company or contains a company logo, the company must also give permission for the image to be used. To be considered a valid entry, submit a new entry with an image created using one of Siemens PLM Software products. To submit additional images, please submit a new entry. Please note that we may contact you if any questions about a submitted image arise. We will use the private messaging function of the Siemens PLM Community to inform individuals and/or companies regarding the program results. Please be sure this information is represented correctly. All entries are subject to the End-User Terms of Service for the Community site.